The Northern Switzerland region stretches along the Rhine River from Lake Constance to Basel and mainly consists of the greater Zurich Area and the greater Basel Area. 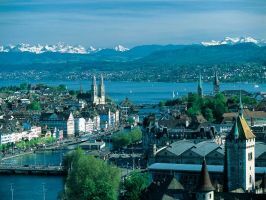 Zürich, Switzerland's largest city and the country's most important financial, industrial and commercial center also is top for leisure and pleasure. Gentle hills, peaceful woods, the unpolluted lakes and rivers, picturesque villages - and all just a stone's throw from the Alps. Zürich is the ideal starting point for all kinds of varied excursions. Enjoy the pretty Old Town, the trendy new Zürich West district and the glorious lake. With opera, ballet, theater premieres, shows, musicals, art exhibitions in over 50 museums and 100 galleries, time never drags in Zürich. The famous Bahnhofstrasse and the Limmatquai are a shopper's paradise. Over 1,700 restaurants and bars serve both traditional Zürich and Swiss dishes as well as exotic specialties. The evenings will leave you spoilt for choice: indoors or outdoors, anything is possible as far as the nightlife in Zürich goes. Winterthur has blossomed from a former industrial town to a lively venue for all ethnic groups and types of culture. Winterthur is an important museum town - it has 17 in all - and also offers a wide range of culture, sports and entertainment. Amongst the numerous night clubs and bars you will also find the only bar in Switzerland that opens 24 hours a day, every day of the year. 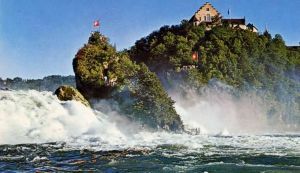 The Rhine Falls, the biggest waterfall in Europe, is just a 20 minute drive from Winterthur. 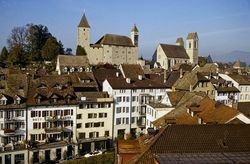 Rapperswil, the riviera at the upper end of Lake Zürich, will charm you with its many attractions: the castle, the medieval old town, the historical wooden bridge and the Knie Children's Zoo. Equally, however, the Alpamare Water Park and the Atzmännig slide and trampoline paradise are just as much part of this family-friendly destination. Summer or winter, the Lake Zürich region offers many opportunities for sports. 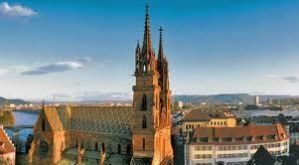 Basel, located in the Three-Countries Corner is the ideal starting point for your tour of Europe and Switzerland. In less than an hour you can reach not only Zurich, Lucerne and Berne in Switzerland, but also the Alsace with Strasbourg and Colmar in France as well as Freiburg im Breisgau and the Black Forest in Germany. Basel is often called Switzerland's cultural capital, and the city offers a great varierty of museums and art galleries as well as many attractions and places of interest, such as the Old Town with its picturesque streets and historic buildings, or the Cathedral and other churches of historical interest. Discovering Basel is a feast for all the senses. Living where they do at the meeting point of three countries, its people have a great deal of "savoir-vivre". Good food and drink are as important to them as art and culture. When the museums and shops close their doors, Basel shows its more exuberant side. Young and old plunge headlong into the lively nightlife of the city. There is something for everybody to enjoy. The Canton of Basel Land at the gates of the city of Basel boasts a variety of beautiful landscapes, impressive natural and cultural jewels. There is a lot to discover in the region of Basel, whether one travels in the footsteps of the Romans, cruises on the Rhine, or undertakes a tour in the nearby Jura landscape with its nearly pristine nature. For this reason the Basel region with its gently rolling, forested hills, is especially cherished by bikers and hikers. In Arlesheim, not far from the city of Basel, one can view Switzerland’s only cathedral. Numerous fortresses and castles line over 1,000 kilometers of hiking trails in the region. Liestal, the main town in the Basel region is worth visiting given its picturesque old town. Whoever walks through Dornach is surprised by its unique architecture. For instance, the reinforced concrete building that houses the second Goetheanum, the center of the General Anthroposophical Society, which is active worldwide. Augusta Raurica, the Old Roman Town is located on the south bank of the Rhine river about 20 km east of Basel near the villages of Augst and Kaiseraugst. 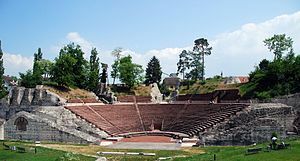 Augusta Raurica is the oldest known Roman colony on the Rhine and today is an archaeological site and an open-air museum.